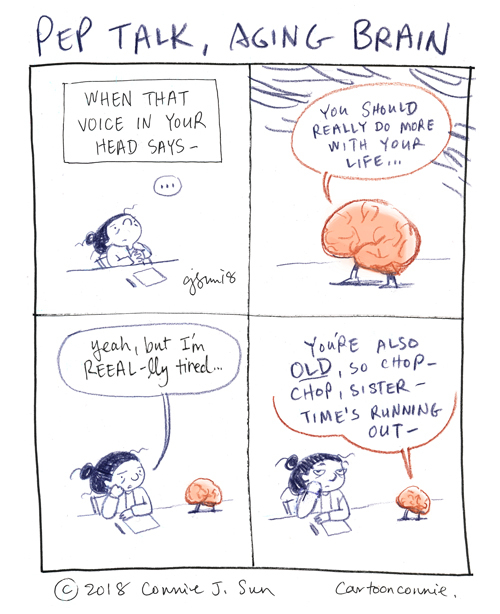 That voice in your head that says, "You should do more with your life." You are not old. Only the young think they are old. Then you pass 50, and catch sight of your reflexion in a plate-glass window, and think: "Crap. When did I get old?" because you feel the same as you always did, inside.